The Online registration platform for the Centennial Conference to be held at National World War I Museum (Kansas City, USA) from the 22nd to the 24th of March is now available, along with the agenda, the accomodation and the Call for partecipation, at this site. The keynote speakers have been already announced and they are Annette Becker (we remember 14-18: Understanding the Great War written with Stéphane Audoin-Rouzeau), Vejas Gabriel Liulevicius, Michael S. Neiberg and Sophie de Schaepdrijver. The National World War I Museum is honored to host the International Centennial Planning Conference on World War I in the spring of 2013. 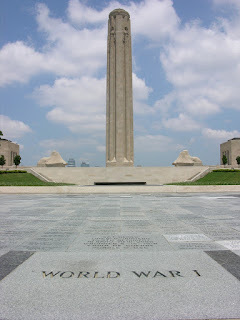 “A Century in the Shadow of the Great War” will take place in Kansas City, Missouri, March 22-24, 2013. During the conference an international audience will convene to conduct preliminary discussions and formulate plans that look at America’s role in the international commemoration of the 20th century’s first global conflict. The three-day event will provide a unique opportunity for participants to conduct preliminary discussions, formulate commemorative plans and encourage collaborative initiatives for the Centennial. Guests will include ambassadors, representatives of consular offices, scholars, museum professionals, film producers, and heritage specialists from around the world. 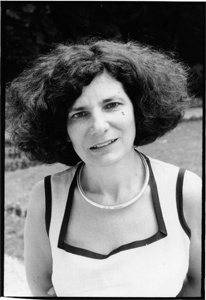 Annette Becker, National Order of the Legion of Honour, Professor of Contemporary History at Paris Ouest Nanterre La Défense and a senior member of the InstitutUniversitaire de France. She is one of the founders and vice-president of the Historial de la Grande Guerre Museum and Research Center. She has written extensively on both World Wars, the extreme violence they nurture, with an emphasis on military occupations and the two genocides, against the Armenians and the Holocaust. She has devoted research to humanitarian politics, trauma and memories, particularly among intellectuals and creators, visual artists and musicians. She is a member of the 1914-2014 Centenary High Committee of France and of the Australian ANZAC Centenary Project. She will curate an exhibition on the Mons Angels apparitions in 1914 in 2014 at Mons. 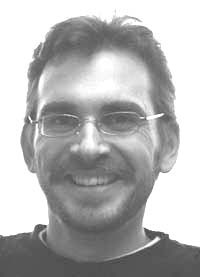 Vejas Gabriel Liulevicius specializes in modern German history, with a particular focus on German relations with Eastern Europe. He completed his Ph.D. at the University of Pennsylvania and was a postdoctoral research fellow at the Hoover Institution on War, Peace, and Revolution. He has taught at the University of Tennessee since 1995. Since 2008, he has served as the director of the Center for the Study of War and Society. His first book was War Land on the Eastern Front: Culture, National Identity and German Occupation in World War I (Cambridge University Press, 2000). His second book, The German Myth of the East: 1800 to the Present (Oxford University Press, 2009), is a study of the way in which Germans have viewed the lands and peoples of Eastern Europe over the last two centuries and up to the present day. In 2004, Germany's main magazine, "DER SPIEGEL", published an invited article by Dr. Liulevicius, entitled "The Poisoned Victory: How the First World War in the East Shaped Hitler's Murderous Worldview." Michael S. Neiberg is Professor of History in the Department of National Security and Strategy at the United States Army War College in Carlisle, Pennsylvania. He previously taught at the US Air Force Academy and was the Co-Director of the Center for the Study of War and Society at the University of Southern Mississippi. His published work specializes on the First and Second World Wars, notably the American and French experiences. His most recent book on the First World War is Dance of the Furies: Europe and the Outbreak of World War I (Harvard University Press, 2011). In October, 2012, Basic Books published his The Blood of Free Men, a history of the liberation of Paris in 1944. Sophie de Schaepdrijver is an Associate Professor of History at Pennsylvania State University. 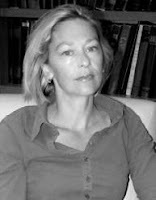 Her main field of research is the First World War and she considers herself to be less a military historian than a historian of war and society. Her research focuses on a half-forgotten “front” of this war - the military occupations of 1914-1918 and their impact on both occupied and occupiers. She has paid particular interest to individual experiences of the German occupation of Belgium ever since her third book, We Who Are So Cosmopolitan: the War Diary of Constance Graeffe 1914-1915 (2008), which focused on transnational experiences of invasion and occupation, and, even more so, on how the act of writing allowed women and men to make sense of these baffling events, to chart their allegiances and map out moral judgments. Diary of an Occupation, which analyzes a voluminous wartime diary left by Mary Thorp, an English governess in German-occupied Brussels and a privileged cross-class observer, continues this line of enquiry. Attendees at the conference will network and build relationships that may serve as the foundation for coordinating a variety of international initiatives. Panel and roundtable discussions will also be conducted throughout the Conference. The lead sponsor for the conference is the Government of Flanders (Belgium), Department of Foreign Affairs – Flanders House New York. For detailed information on the conference and how to register, please visit www.theworldwar.org/conference.